This is a Czech version of a page, which brings up some interesting issues about language differences. One thing to remember is that the same best practices are used so it is important to include as many as possible when working on any page. Similar to other pages I have reviewed, this one has a mombubot score of 5 so some things could be improved. However, about the language, the page URL is in English with a tag to change to the Czech page which could be improved by making the URL in Czech where possible and include the Czech keywords. 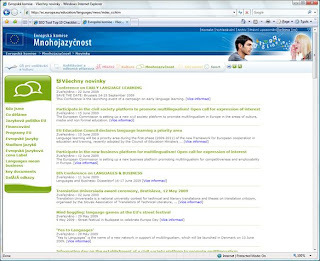 Although I can't read Czech, the English version of this page suggests that this page is about multilingualism so it should also work all the aspects of the site with multilingual SEO techniques to improve the rankings. This page has a good mombubot score at 8. It is only missing some density and image tags. Good css layout and not the table layout still found on many sites (see below). This page certainly isn't targeting "market research" as the keywords for this page. 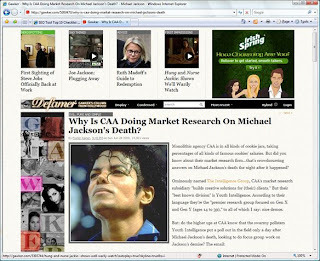 In fact the article is about market research but also a lot about Michael Jackson and his recent passing. Based on the content of the overall site and this page in particular I would suspect this site gathers some good click rates based on the type of article based content. This would provide a lift to page ranking as well. This may explain why this page ranks higher then one from http://www.marketresearchworld.net/, which has a mombubot score of 9! As well, the gawker.com site lists over 1 million indexed pages, which is a huge site. More content = more authority. More authority = higher rankings. Another mombubot score of 1 and still a relatively good position. The title tag had both keywords, however, in opposite order and not in the best "front" position within the title. This simple change could put them in the top 10. This site may be targeting another word as well on the site. They rank #1 for "yakima entrepreneurs salary" but if you drop the "s" from entrepreneurs the page disappears. Oh how critical the "s" is here! Of note, these keywords don't have much competition in a space with only a little over 30K. Again the top 10 indicates that a combination of order and placement of keywords is critical. As well, in this case more use of the keywords within the body copy would have also helped. This site scored very well with a mombubot score of 7. Only a few standard things to work on to make that 7 into a 10! Even though this page is a UK page it has a fairly good ranking in google.com at 11. Sure this is on page two like the others but it is from another continent. Some great particulars are that the keyword is the first word in the title tag and is in a prominent position within and H1 tag in the text. 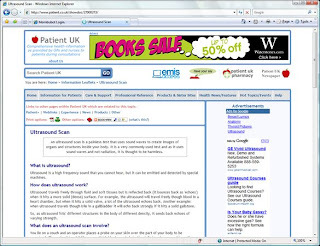 This page is certainly setup for the keyword ultrasound. One thing which mombubot doesn't check for is the use of the keyword in the URL or address for the page. Many pages like this one simply use and article number in the URL to identify the page. 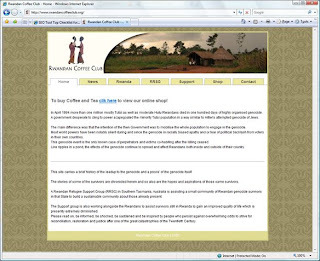 Another best practice is to have a reference in the URL of the page. Positioned in the domain name is the best but somewhere in the URL is second best. Another major benefit to this page and the site is that the domain has been around from April of 1997, which provides some ranking as well. Trust is built up over time and as pages become a reliable source of information for people, the pages ranking improves as well! Again, another question of hyphen or not? Well in this case with the hyphen, this page doesn't make it in the top 20 even. Do you see the trend here? Keywords are critical for position. This page is a great example of clean content and use of css layout. Easy for people to read and easy for search engine bots to consume. 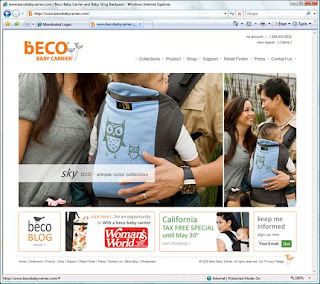 The title tag could have the keywords better positioned and further targeting on the page can be done for the keywords to improve the mombubot score. All in all, this is a good page to use for examples of good structure. 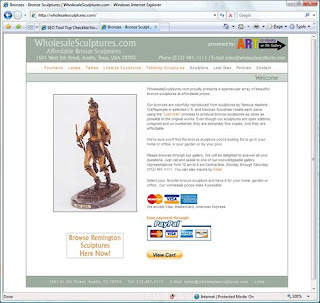 Using the slightly altered plural keyword "bronze sculptures" this page ends up in the top 10. Again another sign of the power of plurals! This page could do with some more content with more use of the targeted keywords. There are missed opportunities to add the keywords to images, links and headers. Again this site uses tables for layout instead of css layout. There are a few advantages of css layout. One advantage is that the search engine crawler has a better chance to understand your content and categorize it. Another overlooked advantage is that the page becomes much more accessible for people who use screen readers or for other sites to crawl your content. I could go on however, there are many resources on the web talking about the advantages of css layout. Another important thing to note on this site is that there is very little use of script to control the site. This is a good thing! Most crawlers have trouble with scripts or simply don't read them. Avoid using scripts for your navigation as this can prevent crawlers from crawling and indexing your whole site. The key is to make your pages as easy to find for people as possible and you do this by making the pages easy for crawlers to get to and index. Make the move to top 10 with a few minor adjustments! This sited scored fairly low on the mombubot top checklist for best practices. It did score for frequency of the use of the term in the text and for prominence within the body, however it missed on of the most important locations the Title tag. Well, let's qualify that a little. The term is in the title tag but not exactly as the search keyword was used. 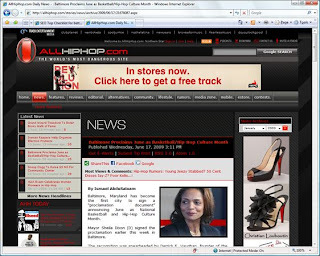 You see the title tag contains the term "hip-hop culture" instead of "hip hop culture". That little difference can certainly be a big difference. For example if you search for "hip-hop culture" this page ends up in the top 10! Again, another little difference can make a large impact. In this case as in other cases you have to think about the audience and how they refer to the genre and how they will search. This page is setup to favour "hip-hop culture" which has a higher mombubot ranking at 4 and as pointed out it lands in the top 10. Be mindful of the hyphen and other punctuations marks on your page. Again, get into the heads of you audience to determine how they will search. 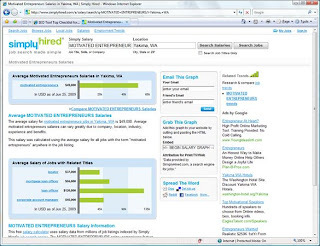 This page is only missing some keyword density within the text of the page and meets 9 out of 10 of the search engine best practices. 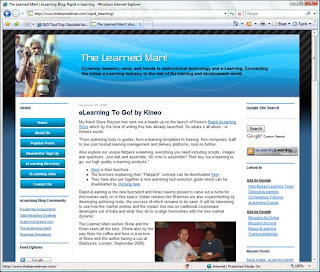 The site overall contains lots of content, which as everyone knows "content is King". 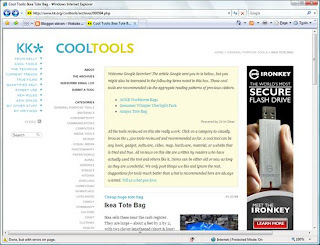 This site is in the ever familiar blog format navigation with links on one side and advertising on the other. Looks like lots of work for Kevin Kelly the author of the blog postings. Worth a look if you need some reviews of things and a variety of other information. Interesting, if you change "Tote bag" to "tote bag" for the search, this page is ranked within the top 10. Again, be careful how you target your keywords. There doesn't seem to be a clear call to action or purpose other than information offered. 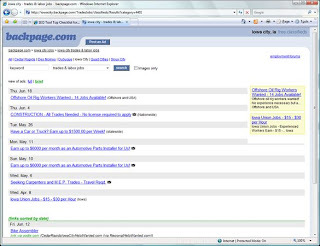 The page also is an archive page from 2004, so it proves that keeping content around for a long time does have benefits. One suggestion which comes from the title tag. Very often owners like to have their business or category listed first, when really it is much more advantageous to have the keywords from the page listed first. A few little changes and this page could certainly make it to page one!